CM: How did you get into catering? BP: It’s a blend of my family’s businesses. I got the bug to be on my own after working for my family’s retail quick lube in my late twenties up in New York. And I always wanted to get into the restaurant industry; my grandparents owned a bakery on Long Island, where I grew up, that they passed down within the family. 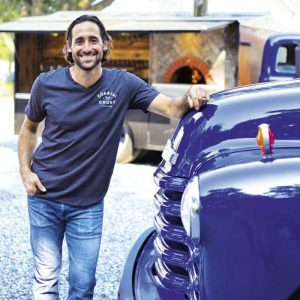 One day on the east end of Long Island, I stumbled across a winery that was doing wood-fired pizza. I immediately knew I wanted to start making pizza, too. I combined that with my passion for old cars, and now I bring antique trucks back to life with pizza and good beer and wine. CM: What brought you to Charleston? BP: After playing in college at Rutgers, I was drafted to play with the Charleston Battery in 2001. I met Shelly (who later became my wife) here, and we traveled for a bit but wanted to settle down in Charleston. CM: Do you miss playing pro soccer? BP: I don’t regret stopping; it was time for me to move on. I stay in the game now, helping to coach my kids, Hailey [age seven], and Reid [five] on teams in Mount Pleasant. Our two-year-old, Jaxson, looks to be the best yet, dribbling and juggling already. CM: Tell us about your Coastal Craft & Cru and Coastal Crust trucks. BP: We use our trucks for catering private events. We’ve labeled them a mobile eatery and a mobile drinkery, as part of our service includes craft beer and wine. On Coastal Crust, we make thin-crust pizza using a Valoriani oven. Our chef, Amanda Click, comes up with a menu, and we make lots of small pizzas so guests can try a bit of everything. While we are food on a truck, we’re not a food truck—we just happen to have built onto some beautifully restored antiques so that we can use them to transport our kitchen to your location. CM: How do you transform a truck into a mobile eatery? 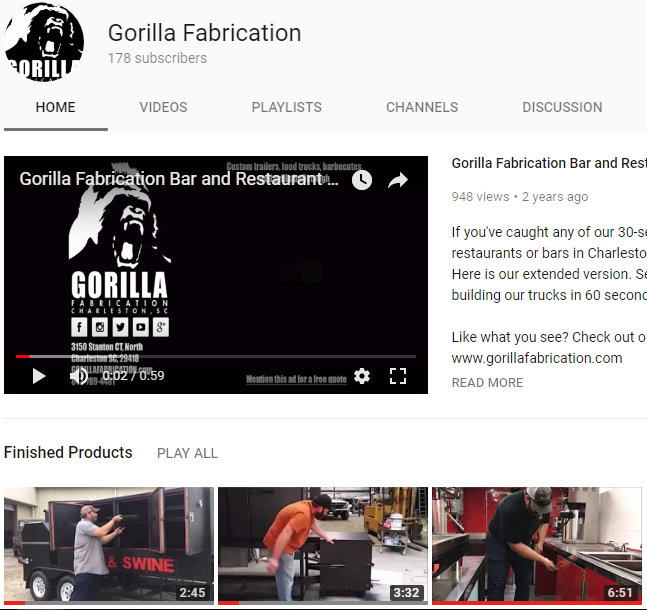 BP: I came up with the design to turn a 1947 KB7 International Harvester into the Coastal Crust truck we have today and then partnered with Gorilla Fabrications to build it. People came to our events, and soon I had people calling from across the country asking me to make one for them. A nice little business was born. We designed, built, and sold about eight trucks last year. CM: Which is better—thin or thick crust? BP: I’m a thin-crust kind of guy. I like my pizza light and easy to eat. CM: Fill us in on Vintage Coffee & Café, your new eatery in Mount Pleasant. BP: Vintage is a place where everyone, including kids, can enjoy a quality meal. What I do with trucks and antiques is part of that. We’ll have a 1953 Chevy beer truck outside as a bar, and we have another ’53 Chevy as a playground, with slides, a fire pole, and a rock-climbing wall. CM: What’s on the menu? BP: For breakfast, you’ll see cinnamon-bun French toast, scrambled egg hash, and homemade muffins. Chef Brandy Sven has worked up a well-rounded lunch menu with salads, sandwiches, and also kids’ items that are fresh and healthy. We’re open late on weekends, serving cheese boards and wine. CM: Do you have an antique vehicle you drive for fun? BP: I don’t have a cool old daily driver, but it won’t be too long before I pull the trigger. I have my eye on an early ‘50s Ford flatbed truck.